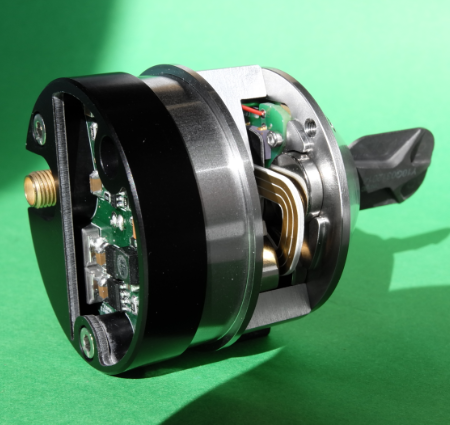 This motor is capable to handle the mirror position all by itself without extra regulation or amplifier board. This makes it an easy tool to design scan solutions for generic and specific applications. 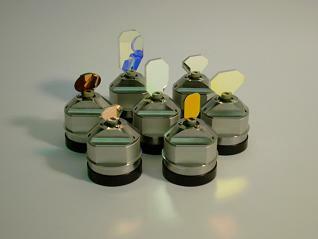 These RTA (Rhothor Active) deflectors do not rely on the traditional moving magnets technology. Instead a patented moving coil principle is used. The Smart Deflector is fitted with a single coaxial connector providing power as well as data connection. 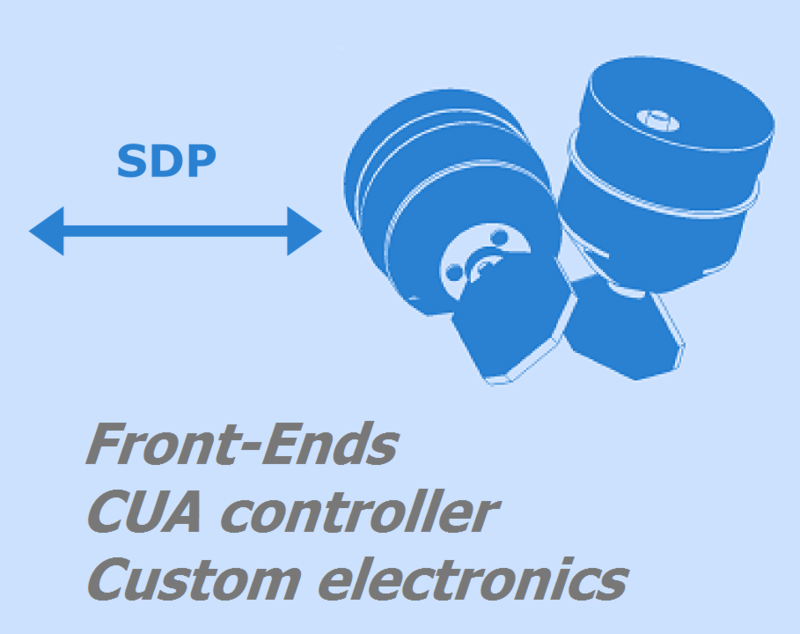 Simple modulation electronics allow the user to send the setpoint data directly to the motor. The mirror positioning is done by the motor itself. Scan motors offer "modularity in design"
To maximize ease of use several Front-End devices are availabe for zero overhead connection of a rhothor ™ Smart Deflector to third party electronics. Those embedded interface modules and adapters provide modulation of setpoint data on top of the 12V power supply. Off-the-shelf X and Y mirrors for most commercial wavelength include 1064nm, 532nm, 355nm, 1940nm, 10600nm, dual coatings and more. Silicon carbide or reinforced fuced silica for superior performance. A mirror exchange toolset is available allowing on-site mirror replacement and reducing stock cost.